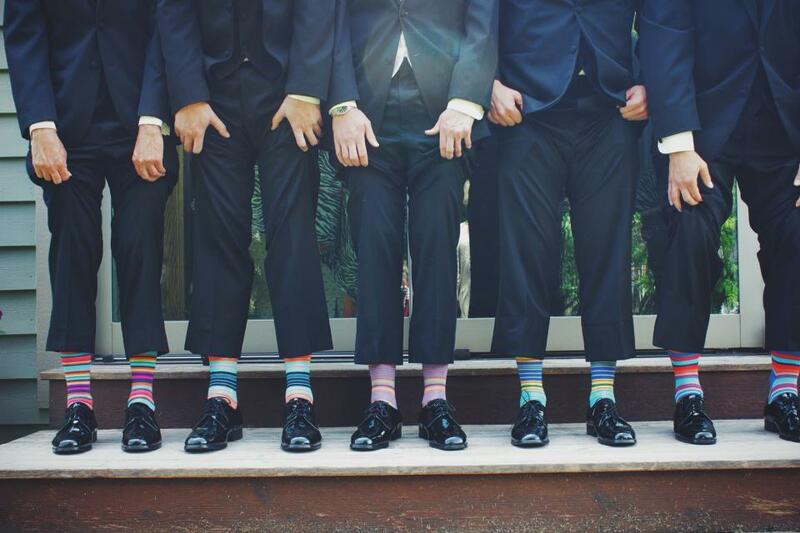 5 Steps to Setting up a Hootsuite Dashboard that Rocks Your Socks Off. Setting up your Hootusite dashboard can take time and it’s tempting to pull your platforms in then leave it. However it really is worth spending the time to set it up properly in advance and to learn all the dashboard’s features. Here are my 5 steps to setting up your dashboard which include all my favourite and most effective features of Hootsuite. Okay so first things first pull in all your social media platforms (a separate tab for each one) and individually add your streams. For each tab (representing each social media platform) you will have to option to pull in different streams depending what social media platform it is. 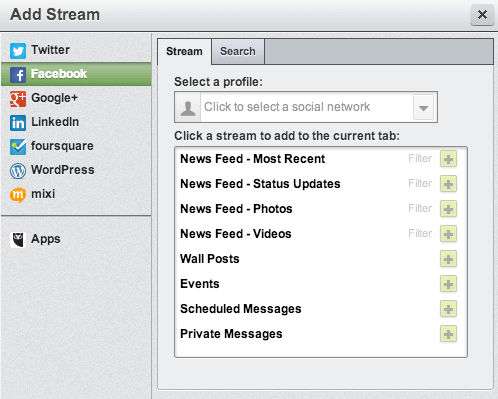 Below you can see the options Hootsuite gives you for each platform. I personally don’t pull Facebook into Hootsuite as you can easy schedule posts and see insights within Facebook. 2. 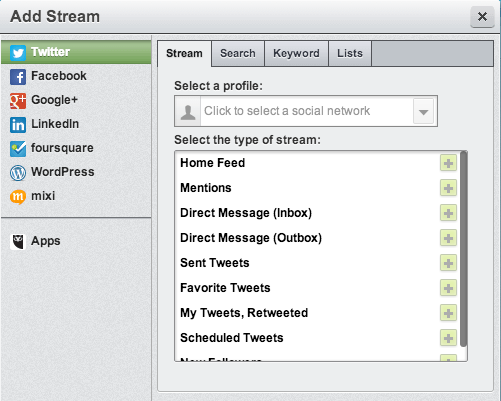 Set up a ‘listening’ tab for Twitter to track your keywords and hashtags so you can join in on relevant conversations. 1 stream to hashtags, (again you can track 3 at a time). 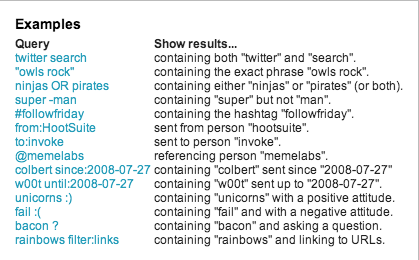 You search for multiple hashtags under the keyword option in image above. 1 stream to a key phrase which people might use when looking for your services. E.g, if you run personal training courses you might want to track the phrase “recommend any training”. It’s best to keep the search term fairly generic as this will optimise the amount of tweets that you will pull in. N.b. You can set a location target to help your search become more targeted again. As you can see in the image above click on the compass in the bottom right hand corner of the pop up box then ‘adding a stream’ and choosing the ‘search’ tab. 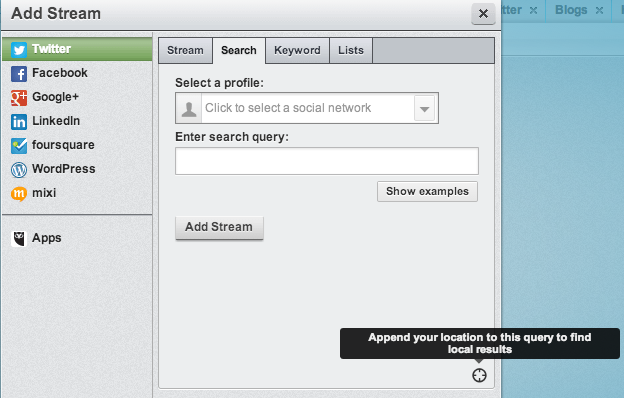 Hootsuite will then track your location and as default to only search for tweets sent in a radius of 25km. You can edit this by just altering the number of km when it appears in the ‘search query’ box. Set up a tab dedicated to content for you to share. 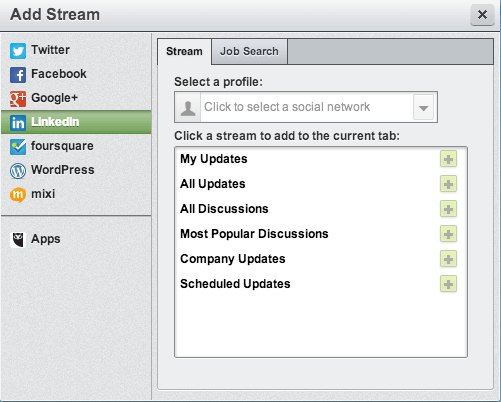 Within this tab you can bring in apps such as Trendspotter, Stumbleupon etc. 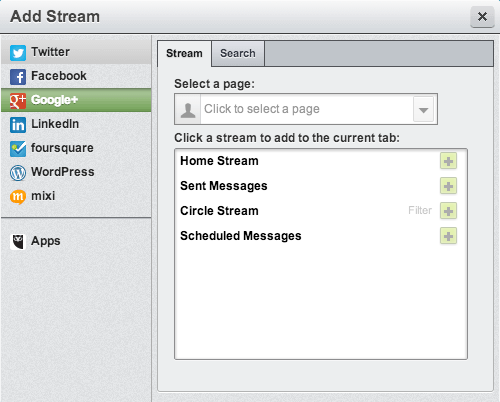 These will take a stream each but you can also add a blog syndicate stream which allows you to add RSS feeds of relevant blogs to your industry. This means whenever they post a new blog it comes up in your stream allowing you to easily share it straight from Hootsuite. 4. Set up a ‘lists’ tab for twitter to cut out the noise, allowing you to engage easier with the important followers. To easily find out the accounts with a high Klout score go to your Twitter homefeed stream (or any Twitter stream you want to search in) in Hootsuite and filter by Kloat score by clicking on the small black arrow in the top right hand corner of the stream. Any account with a Klout score above 60 you should add to your ‘High Klout’ list. 5. 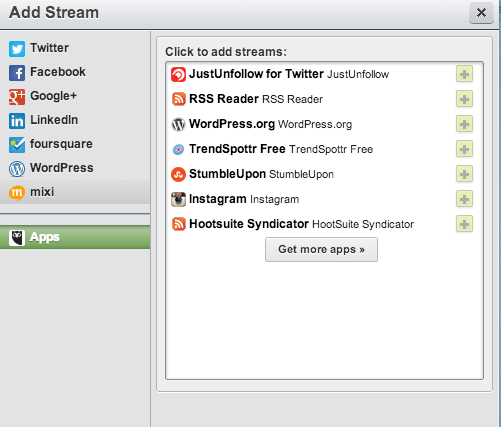 Get the Hootlet bookmark so you can schedule content into Hootsuite even though you are not on the platform. This is useful for Google search also. Once you have the Hootlet installed on your browser (get Hootlet here) every time you search for something in Google Hootsuite will suggest if you want to add that search term in to the dashboard. This bookmark will also allow you to create tweets from the URL’s you are on when searching the web. I.e. if you come across a good blog post on the web you can just click the Hootlet in your browser and it give you the option to send the link now as a tweet or schedule it for later. The Hootlet allows you to schedule content from the web into the dashboard. There you have it. My 5 steps to setting up your Hootsuite dashboard to make it super time effective and engagement friendly. How is your dashboard set up? Do you have any different techniques? Let me know! That Social Media Girl lives and breathes social media. She is based in London. Tweet her at @TSMGirlLondon. Do you have Phantom Vibration Syndrome?